They say that good things always come in threes. And for butter London that magic three is pure, posh and playful. Founded in 2005 by Sasha Muir, butter London is a nail brand that has stayed at the forefront of fashion having been recognised for its captivating colour. Providing only the best for the best, it comes as no surprise that they quickly became a world-famous nail lacquer brand with a huge cult following – in fact, they now offer more than just nail products. Pushing the belief that being playful is beautiful, butter London is the best friend that encourages us all to live a little. Here to solely inspire, their unmatched creativity, self-expression and cheeky Brit wit captures the hearts (and hands and eyes and lips ) of many. Successfully bringing the on-trend colours to life, whether that be on the catwalk or beyond, butter London is a luxe you can trust. Too good to be true? You got us. 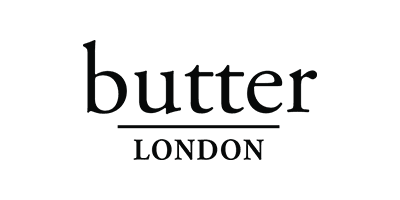 While butter London may actually be an American based brand, it doesn't take away the fact that they’re just a little inspired, obsessed and infatuated with London and all its glory - but who can really blame them?